It’s going to be a rough ride for the rest of the year. According to Business Insider, that is what the inmates of the first jail he was sent to sang to Sandusky when the lights went out. That is even funnier than the Massachusetts GOP giving Elizabeth Warren a subscription to Ancestry.com for her birthday. It has yet to be confirmed, but initial accounts are quite a few of the inmates in the county jail where Sandusky is housed are Sam Cooke fans. 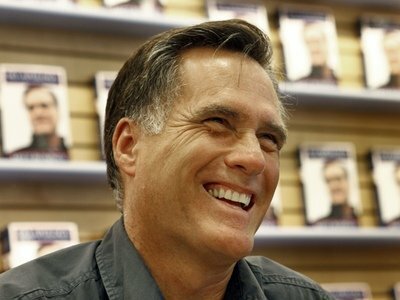 What can Mitt Romney do? He can’t change the past, he can’t deny it happened, and we can’t change the fact that we are stuck with him as the alternative choice for president this election cycle. Apologize for “Romney-Care.” Say he was wrong. Say he learned from the process, and instead of bringing the same mistake on a National level, he wants to repeal, replace, and move forward with fixing the economy by getting government out of the way of American Small Business. To refuse to answer or cooperate with; resist or rebuff: “I want you to stonewall it, let them plead the Fifth Amendment” (Richard M. Nixon). Today, President Obama went back to the future with his claim of EP in the Fast and Furious Case, drawing the WH itself into the line of fire, and bringing back memories of Rose Law Firm billing records mysteriously showing up in the Presidential living quarters. And to commemorate this Back to the Future moment, a Back to the Future parody, starring Dewey Cox. …. 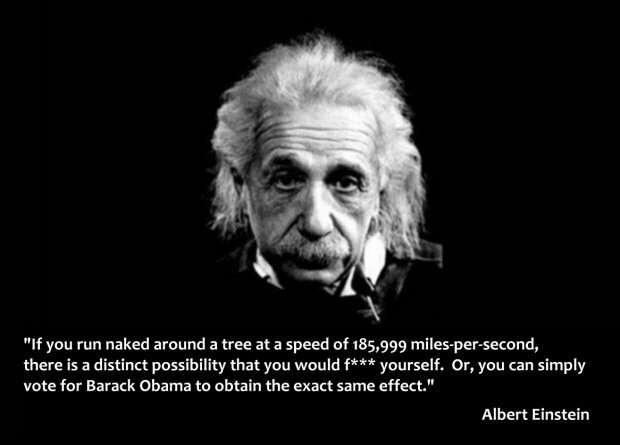 “If you run naked around a tree at 186,599 miles per second, there is the distinct possibility that you would f*ck yourself. Or, you can vote for Barrack Obama and obtain the exact same result! Here’s the whole thing with the image, Nuke. I would have that etched in a grave stone if I were to be buried, instead of cremated. About the only thing I’m missing by not going are some interesting historical sites and museums. The rest of it they can keep. I’ve got all the multi-culti I can handle right here in Texas and competing with so many millions living on top of each other for resources holds no appeal for me. As far as that goes, Dallas is much bigger than I prefer, but I couldn’t make any money living in a small town like the one I grew up in. I have never been required to go to NYC for business and that is the only reason I would be compelled to go. Not only for the reasons listed already, but for a few others, one being I would be arrested and charged with defacing a national monument within hours after arriving, as what I would do at Grant’s tomb would never pass for roses. The newest reasons to reinforce my vow never to go there are much more contemporary, such as the idiotic and faithful liberal policy makers and voters. Not just some anti-freedom idiots telling me what I can and cannot eat or drink, but for those same fools requiring any tools I may prefer to protect myself being forbidden for most residents and for visitors. We already know how anti-gun the liberals in NYC are(both pols and the public), which is enough to write that place off as a destination, but they even have laws against certain types of pocket knives. That’s right, pocket knives! Here is a story about a visitor to NYC, a bible college student from Pa. In New York state, it’s illegal to carry a “gravity knife” — a knife with a blade that is released from its handle by flicking a wrist and then locks into place. A switchblade, also illegal to carry in New York, isn’t a gravity knife because a spring opens the blade. A typical Swiss Army knife — legal, in theory — also isn’t a gravity knife because it can’t be opened just by flicking. Read it all, it is truly a sad commentary on life in what is supposed to be one of America’s greatest cities. If I were to be in that God forsaken city, I would really be in trouble, as I carry a “gravity” pocket knife, a small fixed blade in my wallet and a “necklace” fixed blade. I’ve carried a pocket knife since I was about seven years old, a Schrade folder given to me by my grandfather, a knife I carried in my pocket for almost twenty years. It was replaced because of another gift knife and because the blade was so worn down from sharpening and use, it was only valuable as a keepsake and not as a tool. All this only reinforces my desire to never visit NYC and apparently there is at least one other young man who feels the same way, a college freshman from Pa. with a criminal record. “I don’t plan on visiting New York unless I have to,” he said. Now, I think I will clean some clean guns and think of the place where I belong.